Click screenshots to view full size. 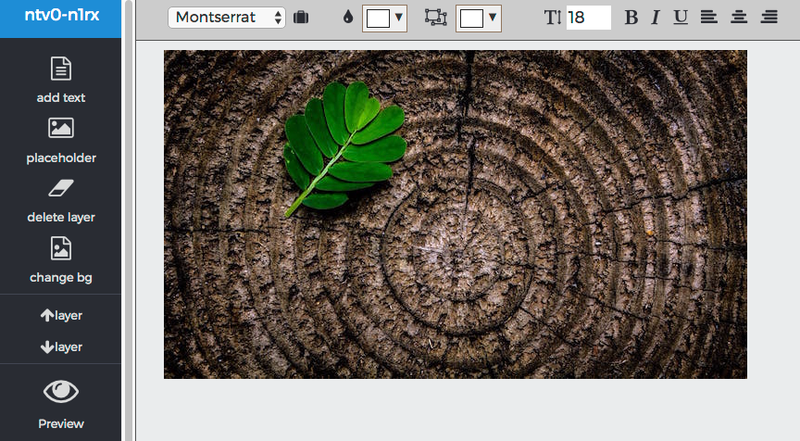 Start a new project by uploading a background image. Don't have one? Check out the 'Image Sources' link on the MergeImg home page. Backgrounds can be PNG, JPG or even Animated GIFs. Place one or more text blocks on your template. Insert the merge fields used in your email platform. Merge fields will be replaced by recipient data, creating a unique image for each email sent. Layout and default values can be changed during campaigns. Add viewer-specific images to your template, like social-media profile pictures or company logos, with image placeholders. They'll be composited in on the fly to give your prospects a custom graphic. Ever changed your mind about an image just after hitting Send? 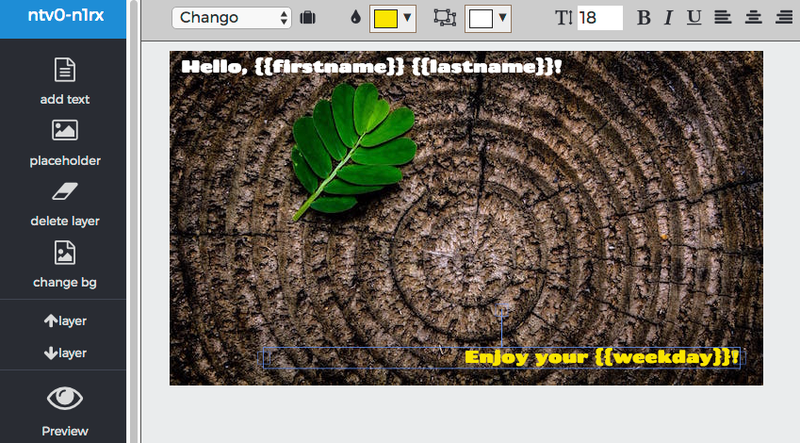 You can update the background of a template; recipient images will be updated on their next view. Match the text in your background image, or try different eye-grabbing fonts until you find one you like. 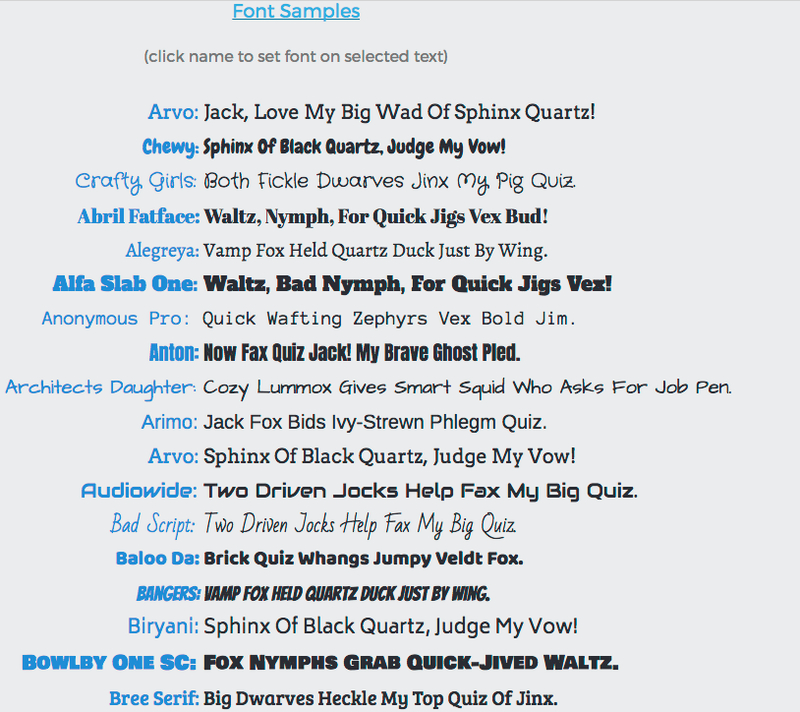 Each text block can use a different font, too. If you're missing a last name, no problem. You define the default/fallback values for each field. Defaults can be updated any time, too; use them for inventory-remaining, countdowns and more.